The extension of the peace talks means only one thing: that Abbas will be able to use the new time given to him to try to extract further concessions from the U.S. and Israel, while all the time bearing in mind that Obama and Kerry are willing to do almost anything to avoid a situation where they are forced to admit that their efforts and initiatives in the Middle East have failed. The communiqué issued by Arab heads of state at the end of their summit in Kuwait this week shows that the Arab countries do not hold the Obama Administration in high regard or even take it seriously. The Arab leaders also proved once again that they do not care much about their own people, including the Palestinians. The Arab leaders, at the end of their two-day meeting, announced their "total rejection of the call to consider Israel a Jewish state." This announcement came despite pressure from the Obama Administration on the Arab leaders to refrain from rejecting the demand. A top Arab diplomat was quoted as saying that U.S. Secretary of State John Kerry contacted Arab leaders on the eve of their 25th summit in Kuwait to "warn" them against rejecting Israel as a Jewish state. Kerry, according to the diplomat, asked the Arab leaders completely to ignore the issue of Israel's Jewishness and not to make any positive or negative reference to it in their final statement. Kerry did not want the Arab heads of state to repeat the same "mistake" that the Arab League foreign ministers made on March 9, when they too issued a statement declaring their refusal to recognize Israel as a Jewish state. The Arab leaders, however, decided to ignore Kerry's warning and went on to endorse Palestinian Authority [PA] President Mahmoud Abbas's refusal. The Arab summit's statement was published shortly before Kerry cut short a European tour to hold anemergency meeting with Abbas in Amman in a last-minute effort to salvage the peace process with Israel. In light of the Arab summit's announcement, all that is left for Kerry to do is to put heavy pressure on Abbas to agree to the extension of the peace talks after the April 29 deadline set by the U.S. Administration. 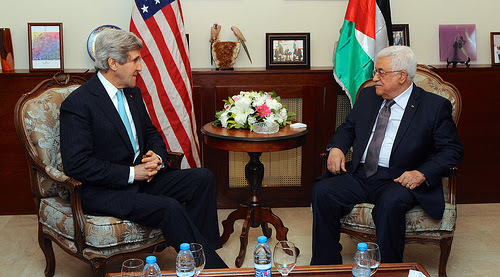 At the meeting in Amman, Kerry warned Abbas that failure to comply with his demand would result in U.S. sanctions against the PA, including suspending financial aid and closing the PLO diplomatic mission in Washington. Emboldened by the Arab leaders' backing, however, Abbas does not seem to take Kerry's threats seriously, particularly in light of previous threats by the U.S. Administration that were never carried out. In 2012, Abbas had also ignored U.S. threats and pressure by seeking UN recognition of a Palestinian state. The Obama Administration did not take any retaliatory measures against the PA or against Abbas himself. Like most of the Arab leaders, Abbas apparently understands that the Obama Administration has been weakened to a point where it is no longer able to impose its will on any Arab leader. The way things appear now, it is Abbas who is setting new conditions and coming up with new demands, evidently from a conviction that the Obama Administration has no choice but to succumb. Abbas today seems to feel confident enough to set his own conditions for accepting Kerry's demand to extend the peace talks. Abbas has therefore now come up with a new requirement: that Israel release three senior Palestinians from Israeli prison: Fatah leader Marwan Barghouti, PFLP Secretary-General Ahmed Sa'dat and Gen. Fuad Shobaki. All three are serving lengthy prison sentences for their role in terrorist activities, including the assassination of Israeli Tourism Minister Rehavam Ze'evi. The Palestinians also continue to accuse the Obama Administration of exerting heavy pressure on Abbas to soften his position and accept some of Israel's demands, including the issue of Israel's Jewishness. Some senior Palestinian officials in Ramallah have even accused Obama and Kerry of practicing "political and financial blackmail" against Abbas. Abbas seems assured that Obama and Kerry are so desperate to avoid a collapse of the peace talks that they will be willing to accept anything he or the Arab leaders ask for. The Arab summit stance on the issue of recognizing Israel as a Jewish state is a blow to the Obama Administration's efforts to achieve a peace agreement between the Palestinian Authority and Israel. There is a feeling among many Arabs and Palestinians that the Obama Administration has no clue as to what it wants from the Arab world. They point out that the Obama Administration has failed in its policies toward several Arab countries, especially Egypt, Libya and Syria. Abbas, in wake of growing US pressure on him, evidently sees the Arab summit as a "victory" for the Palestinians. As one of his aides explained, "The Arab summit's announcement is a political and moral boost for the Palestinian leadership." Abbas might eventually agree to the American demand to extend the peace talks at least until the end of the year. But this does not mean that he is going to change his position regarding recognition of Israel as a Jewish state. Nor does it mean that Abbas is about to make real concessions on any of the core issues, such as the future of Jerusalem or the issue of borders. The extension of the talks means only one thing: that Abbas will be able to use the new time given to him to try to extract further concessions and gestures from the U.S. and Israel, while all the time bearing in mind that Obama and Kerry are willing to do almost anything to avoid a situation where they are forced to admit that their efforts and initiatives in the Middle East have failed. In the January 27, 2014 issue of Nature, Francis Collins, the director of the U.S. National Institutes of Health, gave a statement about how the agency is attempting to reduce the incidence of sensationalized findings that do not have clinical validity. 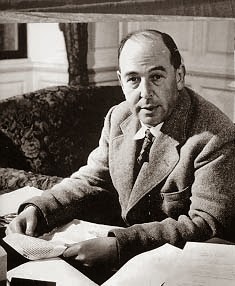 He said, "Science has long been regarded as 'self-correcting', given that it is founded on the replication of earlier work. Over the long term, that principle remains true. In the shorter term, however, the checks and balances that once ensured scientific fidelity have been hobbled. This has compromised the ability of today's researchers to reproduce others' findings." Three top US universities have combined with Oxford University Press (OUP) to start the world’s first journal devoted to advances at the intersection between law and bioethics. 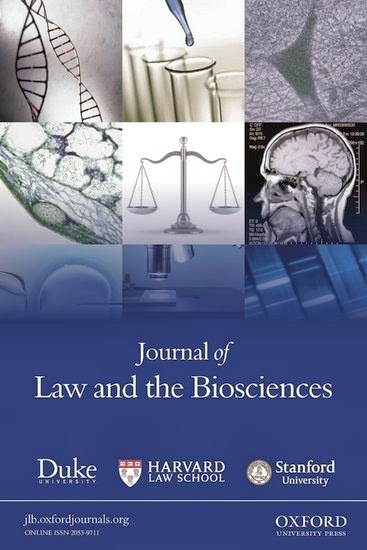 The Journal of Law and the Biosciences, an open access journal co-edited by academics from Duke, Harvard and Stanford Universities, aims to foster an interdisciplinary conversation between lawyers, bio-scientists, philosophers and other experts on controversial topics in bio-law. It will focus on cutting edge issues such as neurolaw and ethics, human enhancement, mass genetic testing and predictive analytics. “We are seeing major developments in genomics in neuroscience, in patent law, and in health care. We want to be at the forefront of this, and we think that a peer-reviewed journal led by the leading research institutions working in this area in the US is the way to go”. The first issue of the journal contains articles dealing with international research ethics frameworks, informed consent in genetic testing, human enhancement, and the commercialisation of blood banks. ISLAMABAD: The army again denied on Wednesday that anyone in its set-up had information about Al Qaeda leader Osama bin Laden’s stay in Pakistan till he was eliminated in a US raid. “Nobody in Pakistan knew about the presence of Osama bin Laden,” said a text message sent out by the ISPR to correspondents on behalf of the ISI. The statement said the New York Times story, which claimed that the United States had direct evidence about former ISI chief Lt Gen Ahmed Shuja Pasha having knowledge about Bin Laden’s presence in Abbottabad, was baseless. “There is no truth in the New York Times report,” it said. Jamaatud Dawah chief Hafiz Saeed also denied having corresponded with bin Laden. He accused the US of using media as a propaganda tool for furthering “its designs against Muslims”. “I challenged $10 million bounty and they had to clarify it as ‘price to find evidence’, still lies and more lies to offer; no shred of evidence,” he added. North Korea has ordered the death of as many as 33 people because of their alleged contact with a missionary, South Korea’s largest news organization has reported. The 33 North Koreans are charged with attempting to overthrow the regime by setting up 500 underground churches, according to the South Korean newspaper Chosun Ilbo, which cited an unnamed source. The newspaper said they are accused of working with Kim Jung-wook, a South Korean arrested by North Korean authorities in October on suspicion of trying to establish underground churches. The executions will be carried out in a secret location administered by the State Security Department, Chosun Ilbo reported. Kim, a Baptist missionary, appeared on North Korean television on Feb. 27 and said he was working at the direction of the South Korean National Intelligence Service, and that his goal was the collapse of the Pyongyang regime. It’s unknown whether Kim’s TV appearance will earn his release. “Reason is an action of the mind; knowledge is a possession of the mind; but faith is an attitude of the person. It means you are prepared to stake yourself on something being so.”-- Michael Ramsey, 100th Archbishop of Canterbury. An extensive survey of assisted suicide in Switzerland between 2003 and 2008 has found that the most vulnerable people are women, people who live alone or people who are divorced. People who ask for assisted suicide tend to be wealthier and better educated. The results have been published in the International Journal of Epidemiology. The authors, from the University of Bern, conclude that disadvantaged sectors of the Swiss population are not more vulnerable to assisted suicide, because relatively fewer low-income people take advantage of it. Their principal recommendation is that the government should require better statistics. However, other interesting findings also emerge. * Fewer people with a religious affiliation, especially to the Catholic Church, seek assisted suicide. “The association with religion may reflect greater social integration among the religious as well as social norms and dogma,” they say. * The existence of right-to-die associations might possibly be increasing demand for suicide. Although one-third of doctors said that they had been confronted with a request for suicide, only 6% of then actually participated without the involvement of a right-to-die association. * The authors believe that their data may disprove the danger of a “slippery slope” because lower socio-economic groups are less vulnerable than the wealthier and better educated. However, if the time frame encompasses the 1918 law on assisted suicide, the “slippery slope” seems more plausible. Nowadays, Swiss assisted suicide is “marketed” as a remedy for an unendurable disability and an alternative to the pain of terminal illness. However, that is not why the legislators of 1918 proposed it and the legislators of 1937 approved it. They removed penalties for assisting a suicide if the motivation were altruistic. But, surprisingly for our generation, health was not a consideration. Legalised assisted suicide was for people suffering the pain of wounded honour or disappointed love. But in 1982 two non-profit associations, one for French speakers, Exit Suisse Romande, and one for German speakers, Exit Deutsche Schweiz, were formed to help their members die. These were followed by EX International in 1996, which helps foreigners, and Dignitas in 1998, which helps both Swiss and foreigners. What began as a policy in the spirit of The Sorrows of Young Werther ended up as industrial death. Informed consent and conscientious objection are easy to fulminate about, but tricky to discuss with consistency. Take, for instance, the delicate topic of requests for hymen restorations and virginity certificates. Worldwide, an estimated 5,000 women were victims of honour killings in 2000. If a young woman from a culture which sanctions honour killing approaches a doctor, what should he or she do? Refusal is not a popular or even, in some jurisdictions, a legal option for doctors who are asked to refer for an abortion or to prescribe contraception. But a request which reinforces “patriarchal norms” is different. Opposition to these practices in Sweden is so vehement that doctors try to dissuade women. If this fails, it is not illegal to perform them, but they do so reluctantly and secretly. The authors favour the pragmatic policy followed by doctors in the Netherlands. There doctors inform women of the issues involved, but do the procedure if they insist. This allows them to give women better health care. QUETTA: The Frontier Corps recovered three foreigners kidnapped by a gang of drug traffickers and arrested eight Iranians who were holding them, after a raid on a house in Turbat on Saturday. “Two Tanzanians and a Yemeni national had been detained by the Iranian nationals in the house in Overseas Colony,” an FC official said. An FC spokesman said the eight persons arrested by FC troops were Iranian nationals and initial investigation had revealed that they belonged to a gang involved in drug trafficking. The spokesman also clarified that the border security guards from the neighboring country who had been kidnapped on Feb 6 were not among the Iranians arrested in Kech district.